In today's dev diary I will discuss some of the decisions I had to take in order to better balance the game. There is this blog called 'Game Balance Concepts' which has taught me a lot on this topic. It has an extensive material that I recomment to anyone interested. The initial game concept had 9 characters: each one representing a class and a race. For their skills, I read a lot of tabletop RPG material in order to distinguish the best abilities that represent those class/race and made a list. With this list in hand I could divide the characters into groups: supportive characters, defensive characters and offensive characters. Since the game is about building parties to defeat powerful enemies, all the characters needed to have abilities that work well with the other characters. That was the first challenge: thinking of a character as a whole. The character needs to be good on its own and have at least one way of interacting with its party. With this in mind, I designed every character to have at least one skill that favors other characters (or allows interaction with others). Because of that the difference in power from character to character cannot diverge too much, or else it will be possible to create an overpowered party that will diminish the value of other characters and eventually discourage the player to explore new party combinations and strategies. Character A has an ability: For 3 mana, gain +1 attack power. This effect can be stacked. Character B has an ability: For 5 mana, give +2 attack power to any ally. This effect cannot stack. Which one would have a greater power value? Would they be equal? - In Battle for Enlor each character is allowed only 1 action per turn. That being said when Characters A and B uses their ability, their turn will end. - Character A can only use their ability on self, which means they will only benefit from it in their next turn. - Character B can use their ability on any ally, which means they can use it on an ally that have yet not used their actions thus benefiting from the ability during this round. - The mana costs reflects on the attack power gained so it is pretty even. - Being stackable or not reflects on the late game status. If Character A uses their ability multiple times, they will be way stronger than a character with only Character B's buff. By considering all this you may say the abilities are very similar in power. However, in Battle for Enlor, immediate effects pay a very important role and because of that, Character B's ability is a little more attractive. Therefore, Character B's ability will have a greater power value than Character A's ability. In Battle for Enlor you can add a character multiple times to your party (unless it is a Legendary Character). Let's say you want a party composed of 4 Half-Orc Barbarian. You can. So the first thing was to avoid making a character with an ability that, when spammed, could have a great influence in battle. 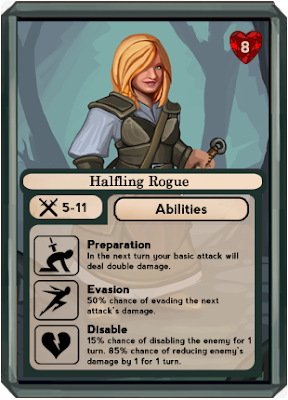 The Halfling Rogue character, for example, has a skill where they have a chance to stun the enemy (make them unable to attack for 1 turn). When using a single Halfling Rogue having a 40% chance of stunning the enemy sounds reasonable. But what if I create a party with 4 of them? The odds increase greatly and can lead to situations where you can spam this ability until you stun the enemy and let the other Halflings attack, killing it slowly but without a single scratch! What to do in this case? My first approach was to bring down the ability's percentage of success to 15%. 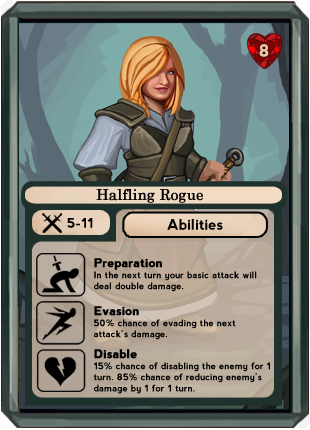 It solved the problem of multiple Halfling Rogues but created another: that skill now was almost useless individually. The original concept of this skill was to create a "get me out of this situation" option. The chance of success is solely to set a mood of desperation/relief to the player. With 15% chance the skill won't trigger most of the times, but when it does I'm sure the sensation transmited will feel good. But there is still that problem, this good sensation still does not pay off for the amount of frustration the player will feel during all the times the ability fails. To solve this I created a second effect to the ability: if the stun fails, the enemy's damage will be reduced for 1 turn. The "get me out of this situation" option still works, but in a lower level. It helps ease the frustration of missing a stun and keeps the good feeling when it hits. "Because the numbers get prohibitively large very quickly, you have to be careful when using exponential relationships". This is a quote from the Game Concepts blog I mentioned earlier and since I read it I carved this words in my heart. - Your next attack will deal TRIPLE DAMAGE and you will take DOUBLE DAMAGE from the next enemy attack. This clearly got out of hand as the development progressed. 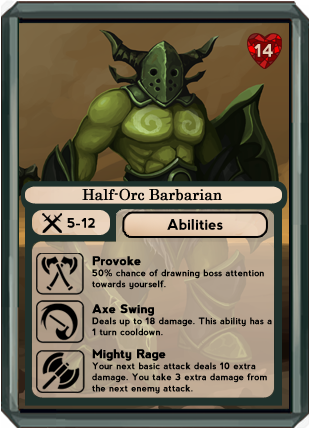 With the addition of characters with abilities that increase other character's attacks, dealing triple damage made the Half-Orc Barbarian an extreme powerful character. On the other hand, the ill effect of using this ability also had a great impact. Taking double damage meant that, in some occasions, an enemy could instant kill a Half-Orc Barbarian. This ability, in general, became a high risk high reward kinda of thing and that was bad. It created scenarios where all was left to luck. If the boss misses the attack, if the character dodges... There were several 'ifs' that the players could use to justify to himself/herself that it was good to use this character until the "tactic" worked. (Version 1) Your next attack will deal TRIPLE DAMAGE and you will take DOUBLE DAMAGE from the next enemy attack. (Version 2) Your next attack will deal 10 more damage and you will take DOUBLE DAMAGE from the next enemy attack. (Version 3) Your next attack will deal 10 more damage and you will take 5 more damage from the next enemy attack. (Version 4) Your next attack will deal 10 more damage and you will take 3 more damage from the next enemy attack. One of the most important ones. By observing your players you can collect valuable information on your characters, enemies and systems. The players will put to test everything you did and, most of the times, show to you things that can be improved within the game. 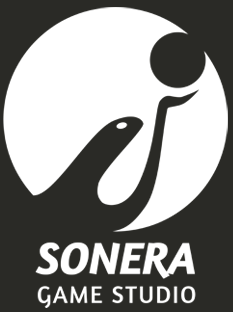 Most of the balances made in Battle for Enlor were thanks to player feedback. Collect feedback regularly. See which characters players are using and why they are using them. With this feedback you can make a few tweaks or corrections. Game balance is something that needs constant monitoring: keeping a close eye and changing things that can affect the game negatively helps to keep the game alive. Thank you for reading, see you in the next dev diary!